When it comes to ringworm on the hands then the symptoms are actually rather easy to identify. However, it is fair to say that people are often troubled by them as it does tend to look rather horrible and if you have no idea as to what the condition actually is, then it is very easy to be quite scared. The good news is that not only is it easy to spot, but it is also easy to cure as you will now see. Having this condition on your hands is common simply because we use our hands to explore the world, so they do tend to come in contact with different viruses during the day. The first thing that you will tend to notice is that ringworm has a tendency to thicken the skin on either your fingers or the palms of your hands although you should also pay particular attention to the space between your fingers. This is called hyperkeratosis and the peculiar thing is that it is common for it to only affect one hand. This thickening of the skin is usually the first sign and if it is not treated, then the individual will usually feel pain and burning in the area. This can then eventually lead to the skin cracking and peeling although some people may develop blisters on the affected areas which need to be treated on their own. The main cause is coming into contact with either a person that has the condition or an object that has been touched as the ringworm can actually live on objects for some considerable period of time. It is also possible to develop ringworm on your hands if you touch another part of your body that has already been infected. The best way to tackle this issue is to use a series of ointments that can be prescribed or purchased over the counter. These ointments, or in some instances medication, does tackle the issue, but it is also possible for you to use natural remedies that may also have a positive impact on the ringworm. The actual cure depends on how severe the infection is and that is why seeking some professional advice is advisable. 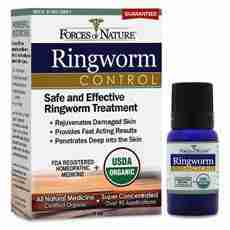 In the most severe cases of ringworm on your hands it does mean that prescribed medication may very well be the only way forward in order to get control of the condition. However, you can cure it and through time that rough skin on your hands will fade.